Muc Off C3 Wet Ceramic Lube is fortified with Boron Nitride and Fluoro Polymers to ensure ultra low friction for ultimate drive chain efficiency, high performance and durability. 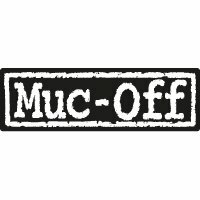 Muc-Off C3 Wet Ceramic Lube stays on the chain - even in wet, muddy conditions. Low-friction Boron Nitride and Fluoro Polymer Technology for drive chain efficiency. Suitable for any bike - road, cross, hybrid MTB. Pipette system for accurate, easy application.